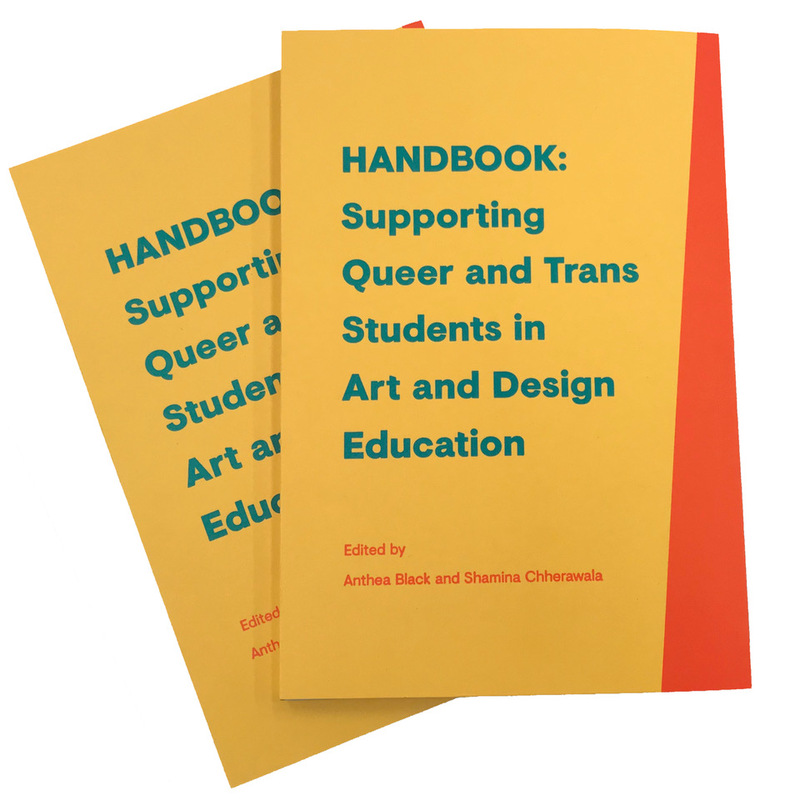 Arts Assembly, Or Gallery and SFU’s Vancity Office of Community Engagement are pleased to host the Vancouver launch of HANDBOOK: Supporting Queer and Trans Students in Art and Design Education and a talk by Anthea Black. We welcome faculty, arts educators and cultural workers of all orientations and genders to attend. This reception will follow a discussion session with queer and transgender post-secondary students from institutions within Vancouver. Anthea Black is a Canadian artist, writer, and cultural worker based in San Francisco and Toronto. Her studio work addresses feminist and queer history, collaboration, materiality, and labour and has been exhibited in Canada, the USA, France, Germany, the Netherlands and Norway. Black is co-editor of HANDBOOK: Supporting Queer and Trans Students in Art and Design Education with Shamina Chherawala and Craft on Demand: The New Politics of the Handmade with Nicole Burisch, and the co-publisher of The HIV Howler: Transmitting Art and Activism with Jessica Whitbread. Black is an Assistant Professor in Print Media and Graduate Fine Arts at California College of the Arts. HANDBOOK: Supporting Queer and Trans Students in Art and Design Education is a collaborative intervention in art and design pedagogy. It offers faculty a radical rethink on how to work with queer and transgender students on their path to becoming artists and designer – from the first day of school, through to seminars, studio classes, and critiques. HANDBOOK draws directly from student experiences to help faculty of all orientations bring equitable teaching practices and queer curricula into art and design classes. Queer Publishing Project was a working group of over 100 students, alumni, staff and faculty at OCAD University and beyond who identify as queer and/or transgender, active from 2014-17. The Or Gallery acknowledges its presence on unceded xwməθkwəy̓əm (Musqueam), Skwxwú7mesh (Squamish) and Səl̓ílwətaʔ/Selilwitulh (Tsleil-Waututh) territories.